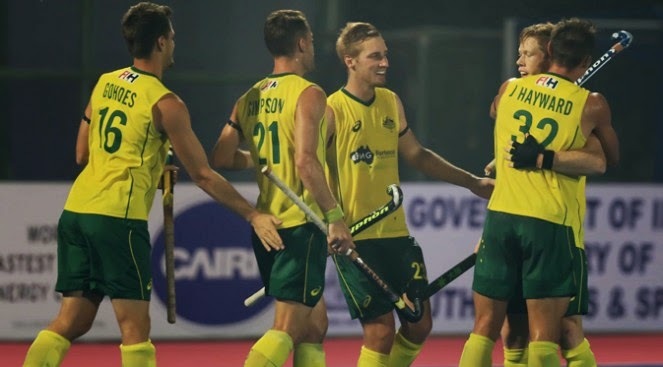 Jeremy Hayward’s pair of goals saw Australia claim third place in Pool A at Pakistan’s expense as they beat the Asian side 3-0 (1-0), gaining their first win of the competition at the third attempt. Pakistan had the first major opening, Muhammad Arslan Qadir hitting the outside of the goal following a great piece of skill by Muhammad Dilber. But, from there until the big break, Australia pummelled their goal but only came away with a single goal. That came from Jeremy Hayward from a penalty corner rebound in the 23rd minute.